The Thimphu Festival (Tsechu) is one of the grandest of Bhutan’s festivals and attracts the largest audience. Featuring dances performed by trained monks and laymen in amazing masks and costumes, Tsechus (festivals) are one of the best ways to experience the ancient living culture of Bhutan. A Tsechu is a Buddhist festival in honour of Guru Rimpoche, the saint who brought Buddhism to Bhutan. The Thimphu Tsechu was established by the 4th Temporal Ruler, Tenzing Rabgye (1638-1696) in 1670. This festival also provides a great opportunity to witness locals gathered in their finest Gho’s and Kira’s in a celebration of their culture and faith. This tour also visits sacred sites in Paro, Thimphu and Punakha. The ‘Thimphu Tsechu’ festival tour attends one of Bhutan’s biggest festivals. Join locals in a colourful celebration of Bhutanese culture and faith. 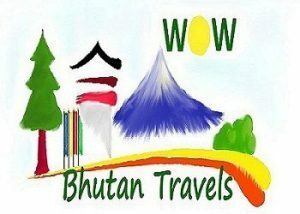 This Bhutan tour also explores all of the highlights of Bhutan’s western valleys, and is ideal for those with a limited time frame. After breakfast, you will visit Thimphu’s ‘Weekend Market’ located at north of Changlimithang Stadium. Vendors from throughout the region come to sell their products. Most people combine a visit here with some souvenir shopping in the nearby Handicrafts Market. After lunch, enjoy the drive to Punakha with a stop for tea at Dochu La (3,100 meters), where on a clear day you can get beautiful views of the Himalayas. From there, drive downhill through the forests. You will arrive at Punakha after traveling through rice field and along the bank of Punachanngchu River. Visit the Punakha Dzong, which is situated in between Phuchhu and Mochu. Stay overnight at Punakha. Return to Paro. On the way, you will stop at Metshina Village and take a 20-minute walk through the rice fields to Chimi Lhakhang, which is a fertility temple dedicated to the Devine Madman or Lama Drukpa Kuenley. On reaching at Dochula, visit the new Druk Wangyal Monastery, which is the only of its kind in the country with elaborate paintings depicting the lineage of the present monarchy and their visionary works. After lunch at Dochula, you will continue drive to Paro. Overnight hotel in Paro. In the morning you will visit to Ta Dzong. It is a Museum located on the hill behind the Paro Dzong. Open from 9 am to 4pm every day except Mondays and some national holidays, a visit takes a good hour. Housed in a 17th century watch tower, it has a unique character and beautiful panoramic views over Paro Valley. Later in the afternoon you to will travel to visit the ruined Drukgyel Dzong (fortress of victory), constructed to commemorate the victory over Tibetan invaders in 1644 and destroyed by a butter lamp fire in 1951. The reconstruction of Drukgyel Dzong has begun. On return you will also visit the 7th century Kyichu Lhakhang, one of the oldest temples in Bhutan. Overnight hotel in Paro. You can have lunch at the Taktshang cafeteria. After lunch you will hike downhill viewing the aesthetic beauty of wide Paro valley. In the evening relax at the hotel. Overnight hotel in Paro. After breakfast, drive to the airport for departure. Our representative will bid you farewell.